A reminder that this year’s popular annual open day at the ‘A Place to Grow’ community garden takes place on Saturday 11th August. 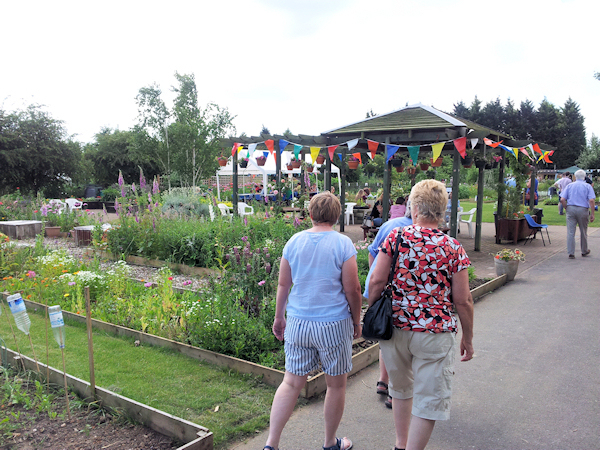 The community garden is situated next to Enderby Leisure Centre on Mill Lane and the event will run between 11am-3pm. Included will be a children’s garden hunt, garden games, planting activities, and the sale of plants and produce from the garden. There will also be a BBQ, cake, refreshments and an ice cream van on offer. All proceeds will go towards the running of the garden. As Enderby EYE reported on 11th July, “Community Garden Open Day to feature Family Performance“, there will also be two free family performances of “SEED”. Performances will take place at 11:30am and 1:30pm. To book tickets for the free performances of SEED, fill in the online form or call 0116 272 7703.